goes about their days, happy in their knowledge that they lay claim to the largest Gooseberry and the oldest half-timbered church in Europe, little do they realize they have a mad bear artist in their midst. tirelessly in her cottage bear studio, built over 150 years ago. 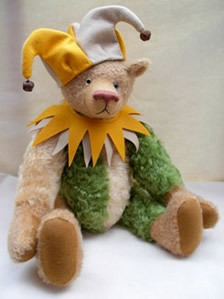 "The official Jac-Q-Lyn Bears shop, however, is in Leek in Staffordshire which is a very historic market town, and the shop was built in the 1800's too," Jacqui remarked. and crafts shop. "This was my escape route from a very stressful job as a manager within a very large hospital," she said. 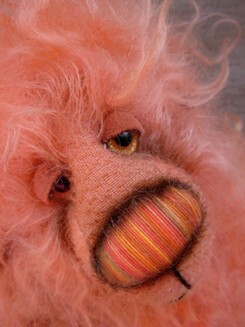 Jacqui started bear making 8 years ago and has been heavily influence by her husband, Darren, who is also a bear artist specializing in well loved, worn out bears. "Without his passion and support, I probably would not have carried on bear making for as long as I have," she mentioned fondly. encouragement and a helping hand." 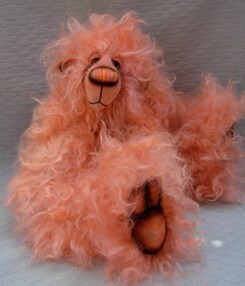 It was through Darren that she began making bears. 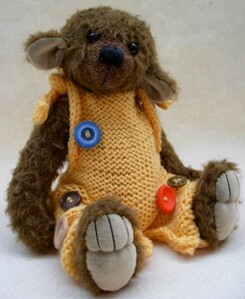 He bought her a kit and that was that; the two were then totally addicted to bear making. 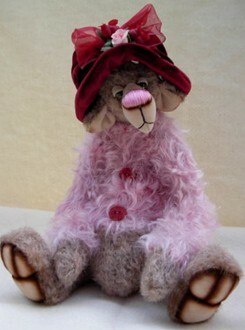 She started selling bears at large craft fairs up and down the country and eventually went on to do specialist teddy bear fairs. "Through doing this as a starting point, it has enabled me to be very fortunate for the last 5 years, to own my very own teddy bear shop where I sell artists bears, as well as, Darren's and my own." 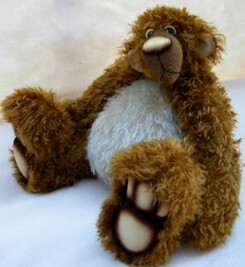 They have become one of the UK's largest suppliers of bear making materials. 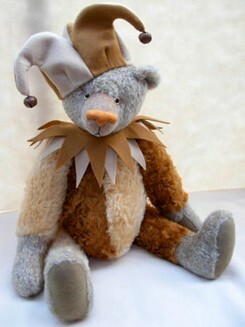 looking faces; I do not do bears with smiles." Although they do bring smiles to the collectors. Jacqui's ten year old daughter, Bethany, has now joined the family bear making business with her own line of bears called, BethanyBears. "They are totally made by herself and sell like wild-fire in our shop," she remarked proudly. 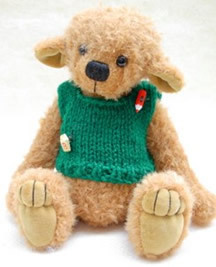 Jacqui feels that children should be encouraged to develop business skills and that there is no better way than by doing it in the bear making industry. "I never dreamt that something created from a kit would have caused me to change my business and have bears that I've made go all over the world, to places I may never get to in my lifetime,"Jacqui said excitedly. "I love it as much today as when I started eight years ago." With offers from buyers in places such as Japan, asking to be supplied with her wacky bears, Jacqui feels she is definitely getting out of it what she's put into it. "I feel that the more effort you make, it will eventually pay out, " she interjects. 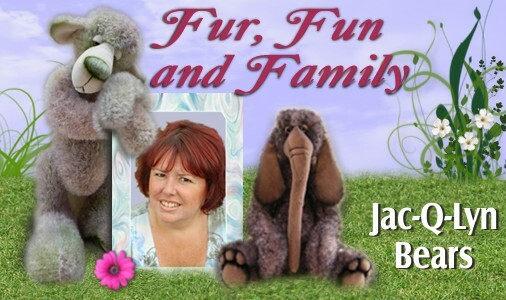 With a motto like that, we will definitely be seeing more of Jacqui and her wacky bears.